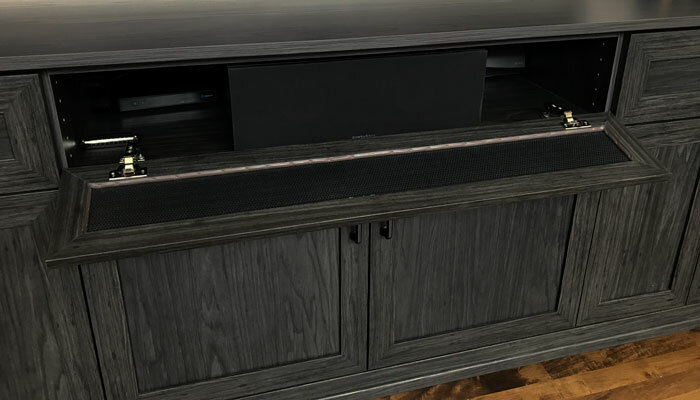 The entertainment center cabinet was built to be centered with the speakers on the wall. The rest of the sound system is elegantly concealed in the cabinets with convenient slide-out shelves and a mesh speaker door for the sound to escape. The wall unit acts as a nice contrast to the light walls and becomes a great transitional accent piece in the home's overall interior design. 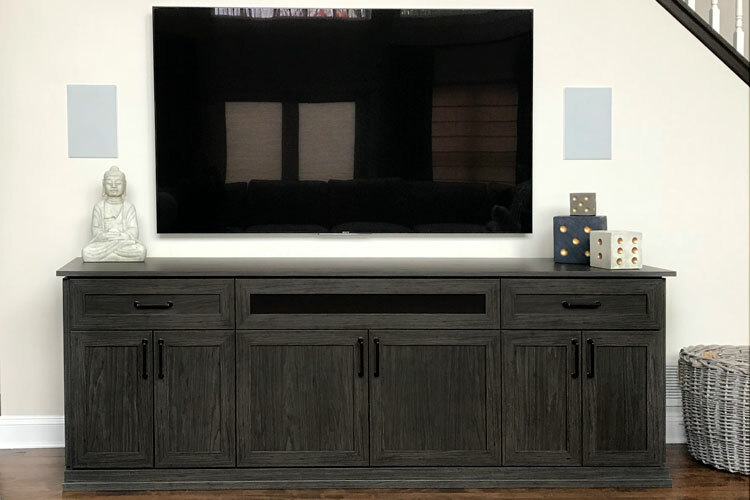 This entertainment center is one of a kind — an enchanting aesthetic meets top of the line functionality. 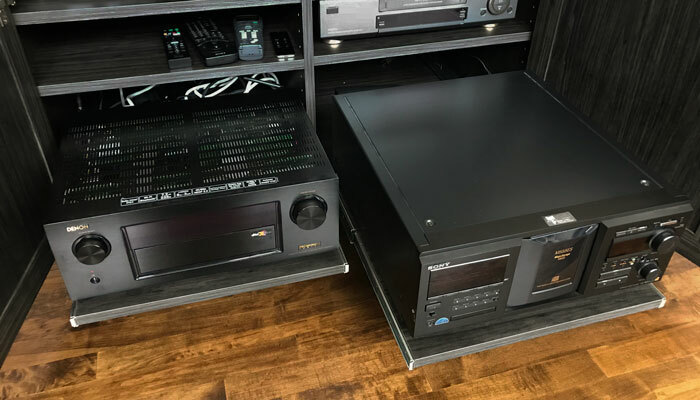 The media center is fine-tuned to fully support a home stereo system with ideal and practical features such as a flip-down mesh speaker door, slide-out interior shelves, and easy access to electrical outlets. 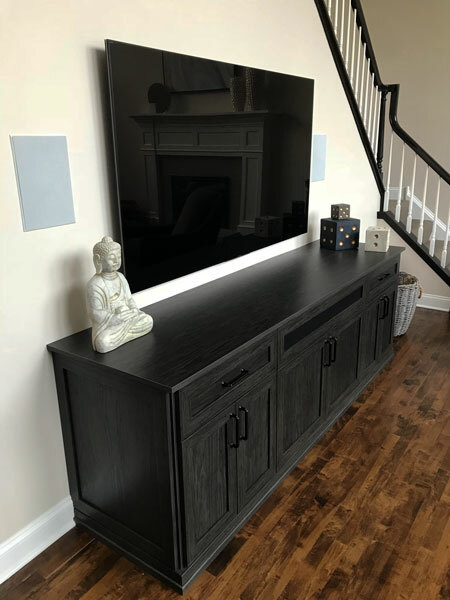 Outfitted in a sleek After Hours laminate, the design has a dark and distingushed look to match the high value and quality of the home's sound system. 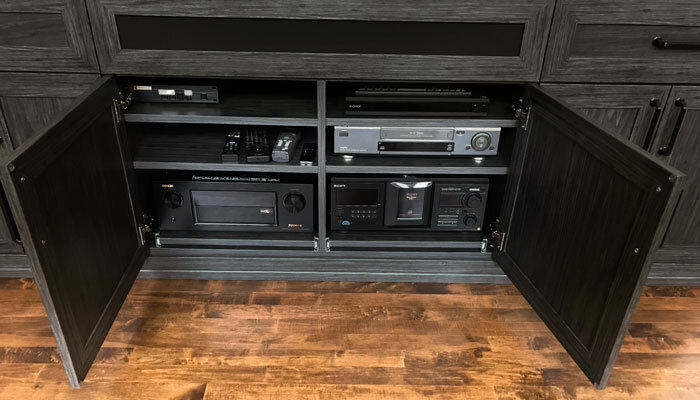 Slide-out shelves make it much easier to access the home stereo system. The interior is customized to fit all electronics perfectly and in their proper places. A flip down mesh door allows sound to travel and acts as camouflage for the speaker to be integrated into the system.